Robert Kardashian Jr has his family really worried about him as he was recently given some serious news about his health. 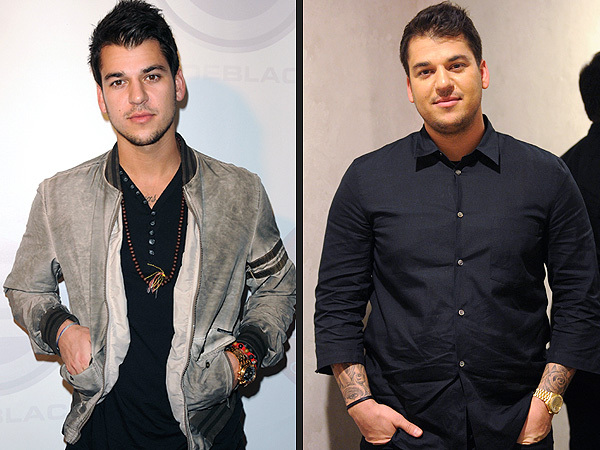 Over the most recent years the only boy of the Kardashian family has gained a drastic amount of weight. Tmz reports, Our Kardashian sources tell us they were confident after Rob was admitted to the hospital late last month and diagnosed with type 2 diabetes he’d begin eating healthy, exercising and doing whatever it took to beat the disease. It’s so bad, Rob has to give himself insulin injections once a day … but he’s still unfazed by the scare. Our sources say he’s still eating crap and not seriously doing anything to lose weight. We’re told Kris and Rob’s sisters have stepped up and hired a full-time chef who specializes in diabetes diets to prepare all of his meals. They’ve also hired a nutritionist and trainer. Problem is — Rob is halfhearted about the whole thing … not committing to the diet or exercise, and the family is worried his condition will worsen and his life will be in peril. Robert who is named after his father was a contestant on US TV dance shows Dancing with the Stars in 2011. His family were very supportive attending most of his shows and cheering him on. He did very well in the competition and came in at 2nd place. In the image below he appears to have a very healthy body stature. Dancing is a great way to keep fit and there is also a great number of positive health benefits. It is good for your muscle tone and strength. It is also one of the more fun ways to keep active as you can dance with a partner, group or alone. The Kardashian Jenner Family is always supportive of one another and we hope to see some changes for the better in Roberts Health.